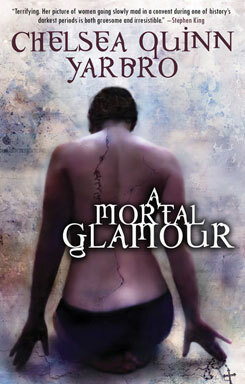 "A Mortal Glamour is a compelling read. Though set in a different era, it is similar to Joanne Harris' Holy Fools and will appeal to readers who enjoyed that novel." --Front Street Reviews The uncut, restored, original novel as authorized by Chelsea Quinn Yarbro! This edition includes -- for the first time ever -- over 25,000 words cut from the mass market version. A dark tale of obsession, possession, and passion set in the tumultuous atmosphere of 14th century France amidst the virulent onslaught of the Black Death, the ravages of the Hundred Years' War, and the constant intrigues of a divided Church with two ruling Popes. Seur Aungelique, a headstrong young nun of noble birth, is driven by desire to seek refuge with the most notorious -- and sexually accomplished -- courtesan in Europe. Returned to the convent of la Tres Saunte Annunciacion, her lust still runs deep and soon ecstatic moans of pleasure and screams of pain are heard coming from behind her closed door. One by one the other sisters...a priest...a soldier...succumb to carnality and defilement. Possessed by something unspeakable, the godly are catapulted into debauchery and damnation. Who has ensnared these souls? What haunts the convent? Where do the nightmares come from? The author of more than 80 books, Chelsea Quinn Yarbro is best known as the creator of the heroic vampire, the Count Saint-Germain. Yarbro is the first woman to be named as an International Horror Guild Living Legend, one of only two women ever to be named as Grand Master of the World Horror Convention (2003), and the first to serve as president of the Horror Writers Association (1988-1990). In 2005 the city of Padua, Italy honored her with a day of celebration. She is the recipient of the Fine Foundation Award for Literary Achievement (1993) and (along with Fred Saberhagen) was awarded the Knightly Order of the Brasov Citadel by the Transylvanian Society of Dracula in 1997. 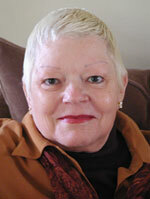 She has been nominated for the Edgar, World Fantasy, and Bram Stoker Awards. Visit Chelsea Quinn Yarbro's Web site at www.chelseaquinnyarbro.net.